As one of the most powerful media brands in the world, Pearson is also the world's leading provider of educational materials and solutions. Sunflower has worked closely with the UK marketing team to produce a range of global marketing and information materials to support the uptake of the Pearson Test of English (Pearson PTE). 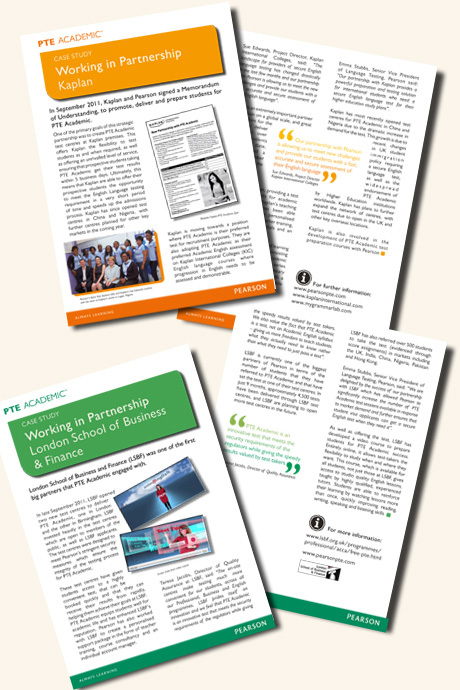 We created Case Study documents which showcase how Pearson has collaborated with leading educational institutions around the world to bring learning solutions to students. 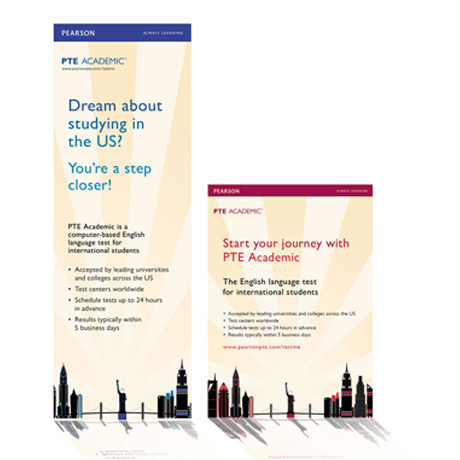 Display banners promote Pearson PTE at international trade fairs and educational conferences. 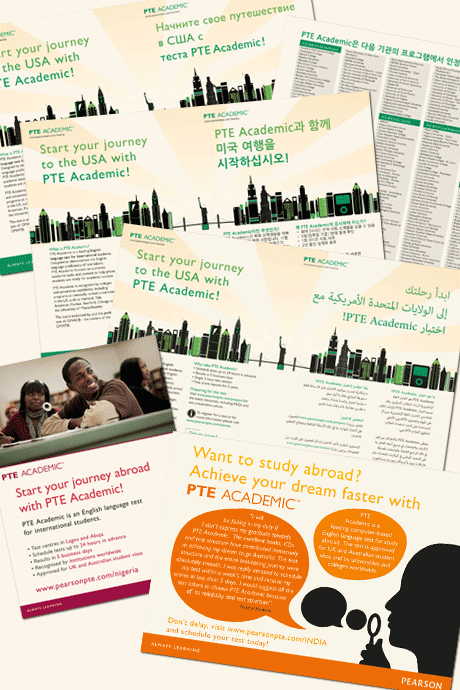 Bi-lingual flyers (in Arabic, Japanese, Russian and Korean) and advertisements in international newspapers present the benefits of Pearson PTE to prospective students. 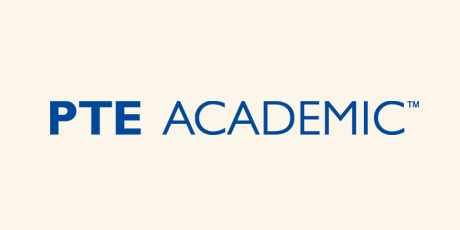 An 8-page guide book provides essential information to students taking the PTE exam. 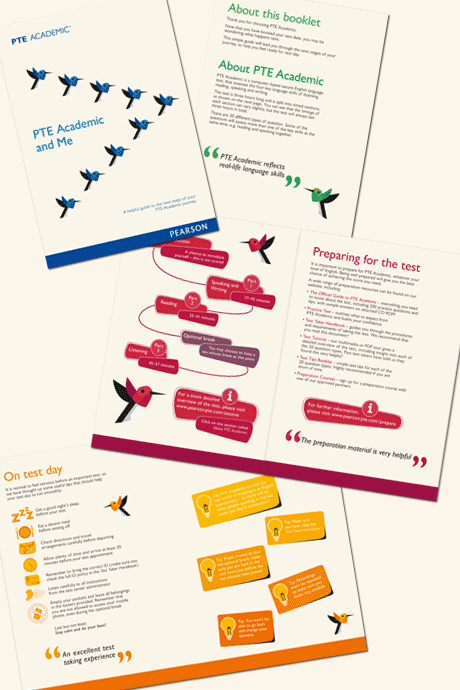 We developed two interactive PDFs (also print versions) providing essential advice to schools across the world, as they set themselves up as Pearson PTE test centres.